The episode started with Rick checking into his hotel, the Hotel CPH Living, a trendy converted barge floating on the Port of Copenhagen. The following morning Rick starts the day with some breakfast and says how he is pleased to see some sun instead of snow. He then takes a trip to Schonnemann to sample some smorrebrod, a traditional open sandwich in Denmark (consisting of two pieces of rye bread with some form of topping), followed by a bike ride. A trip to Geranium restaurant to meet chef Rasmus Kofoed and sample razor clams, salted white salmon, dill pebbles with frozen dill juice and fresh cream with horseradish is followed by Rick taking a visit to Paper Island, where he samples some of the local street food including hot dogs with mustard mayo, tomato sauce, fresh and fried crunchy onion. Fried pork belly with lovage potatoes and parsley sauce are next on the menu, back in Padstow. Rick then takes a trip to Ny Carlsberg Glyptotek, an art museum containing a collection of art by Carl Jacobsen followed by a visit to Kadeau Kobenhavn, a relaxed new Nordic restaurant where he meets with head chef and partner, Nicolai Norregaard. Here he samples some dishes on the menu including caramelised whey and cowslip essence tart. Rick then takes a trip to Ved Stranden 10 Bar where he meets Danish actress Sofie Grabol. Rick then continues onto explore Copenhagen’s cuisine by taking a trip to the Fiskebaren Fish Bar where he meets owner Anders Selmer and samples hake on a bed of pine and horseradish emulsion, pickled cucumbers, Spanish chervil and asparagus. The following day in search of some breakfast he visits Mirabelle bakery to sample some snail Danish pastries followed by a trip to Bakesvaerd Kirke to see some famous Copenhagen religious architecture designed by Jorn Utzon. Rick then takes a trip to Den Rode Cottage where he meets with owners Anita Klemensen & Lars Thompen and samples dishes on the menu including poached egg topped with crispy rye bread with oyster mayo, pickled strawberries smoked oil gel, pickled green strawberries, pickled green tomatoes, pickled ramson berries, ramson leaves, onion cress, ramson flowers and hay ash. A trip to Tivoli Gardens (a famous amusement park and garden) with son, Jack Stein is followed by lunch at Groften where they sample fried breaded plaice, stake tartar, raw herring, gravlax, prawn mayonnaise, sausage hash and fish balls. Back in Padstow at his cottage, Rick shows us how to cook Frikadeller with remoulade sauce. To end his long weekend Rick takes a trip to Gammel Mont Restaurant where he meets chef Claus Christensen and samples some turbot, cabbage and lemon butter sauce. 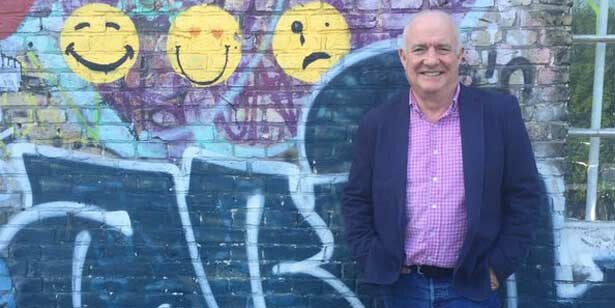 Don’t miss Rick Stein’s Long Weekends in Cadiz next week on BBC2 at 9pm, and if you want to try out the recipes yourself, order a signed copy of the accompanying book here.